This year, 2012, will be the 60th Anniversary of the last race, which was held on 20th August 1952. A group of local enthusiasts, with support from Fermanagh District Council, have been planning a 'Revival' event for over a year now and we hope to put on a show on 25th August that will be a mix of nostalgia and excitement. The main emphasis will be on motorbikes, with many historic and interesting machines taking part in parade laps of a circuit laid out at the St Angelo Airfield. Historic and Classic cars will also be running on the circuit and there will be a great selection of bikes and cars on show in the static displays. Already there are some exotic machines entered for this amazing display. The ex Freddie Protat 500 ROC Yamaha, Protat, finished a personal best of 8th in his home Grand Prix, the French GP in 1996. 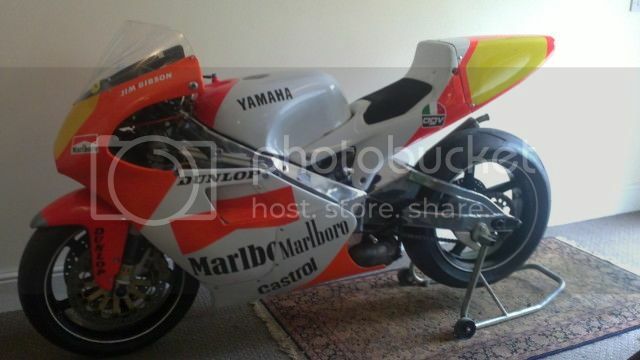 The bike was also raced by the Late Gary Dynes at the Isle of Man TT races, the UGP, and practised on it for North Monaghan races. Another exciting machine to attend will be the ex Tony Rutter 1973 North West 200 350 race winning machine. This machine is the monocoque framed machine, designed by French rider/engineer Eric Offendstadt. Both these machines are owned by English business man, Jim Gibson. 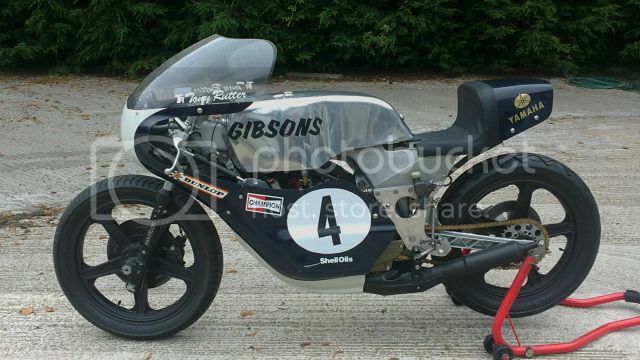 Jim will also be bringing his 125 MBA, which was the last one to be raced at Grand Prix level, and is also a former British Championship winning machine!. Don’t forget, We are aiming to make this a family friendly event, with a funfair, stalls and games etc. And, if you are interested in joining this prestigious event on 25th August to celebrate our motorsport heritage and have a great day out? 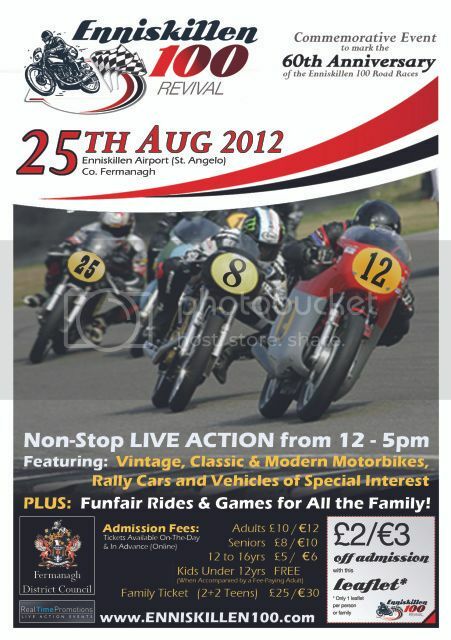 You will find more information on the Enniskillen 100 Revival, including admission fees etc on www.enniskillen100.com. Duke Road Race Rankings after Round 22. Please find attached the latest Media Release relating to the Duke Road Race Rankings after Round 22.